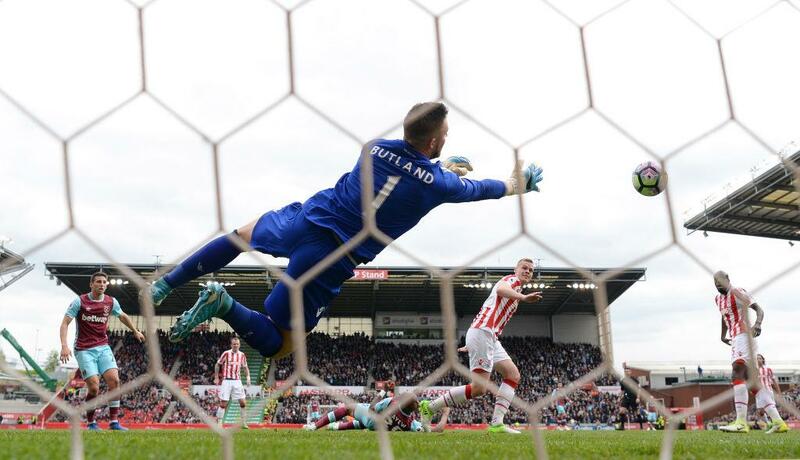 Manchester City eye Stoke’s Jack Butland? Manchester City have reportedly stepped up their interest in a summer move for Stoke City goalkeeper Jack Butland, according to the Manchester Evening News. City boss Pep Guardiola is currently struggling with the goalkeeping issues, with neither Claudio Bravo nor Wilfredo Caballero convincing between the sticks and Joe Hart seems to be available for transfer this summer. Therefore, a number of keepers being linked with a move to the Etihad Stadium, and it has been claimed that Guardiola may look to bring in an English-based stopper. Despite Butland’s recent injury problems, the 24-year-old is one of the targets on Guardiola’s wish lists to solves his goalkeeping problems. Butland recently returned to action and has featured in club’s last two matches – after spending a year on the sidelines with an ankle injury.